In 2001, Melanie Thornton passed in plane crash while promoting her solo career. 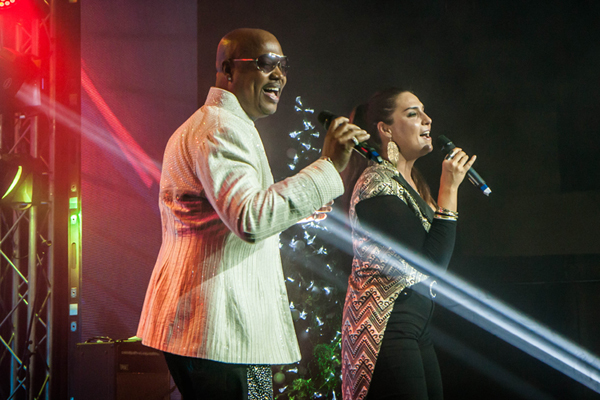 La Bouche today consists of original vocalist Sir Lane McCray and Dana Rayne or Kayo Shekoni (who have been endorsed by Melanie Thorton’s estate). Dana Rayne’s single “Object Of My Desire” (Incentive/Ministry of Sound) scored big on the UK charts, were it topped at #6 on the Top 40 Pop chart and #3 on the Top 40 UK Club chart. She also released the dance floor anthem “Overload” (Robbins Ent.) which features remixes by the EDM producers – Buzz Junkies. Other endeavors to look out for are collaborations with Jeannie Ortega, Lucas Prata and Multi-Platinum recording artist; Fulanito. After acting in a couple of teenage movies in the mid 1990s, she became one-half of Le Click, who had several hit singles in North America and Germany during the 1990s. Later on, she became part of the pop group Afro-dite in the early 2000s, reaching the finals at Melodifestivalen 2002 with the song “Never Let It Go” and representing Sweden in the Eurovision song contest in Tallinn the same year. In 2003 Afro-dite once again was at Melodifestivalen with the song “Aqua Playa”. Sir Lane McCray has been busy in the studio as well. He has already released several solo singles including European chart toppers “Pump It” and “Boom”. In May 2014, McCray recorded a tribute to Melanie Thornton titled “I’ll Give”. A heartfelt ballad which is truly inspiring and captivating for all La Bouche fans. His new single “Heartbeat” was released in October 2014 and continues to climb the charts worldwide.